I finished these two last night. I am not going to say how many days until Christmas because I am in denial. gorgeous baby girl will be starting school shortly after! I was going to make a Beach Bag for me but someone (and she knows who she is) has told me NO! I wonder if that would be OK? 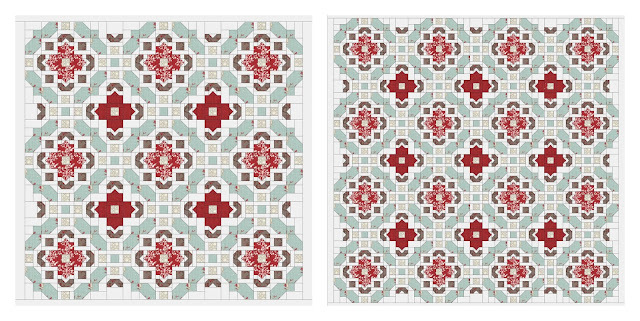 The pattern covers three different sizes. 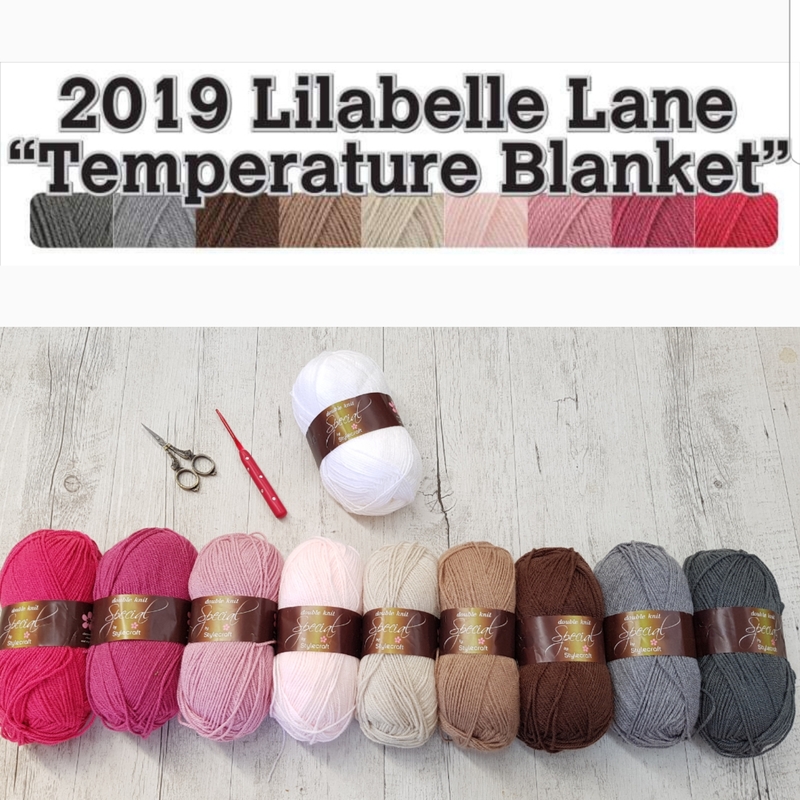 If you are interested in taking a look they are HERE and there is also a link to get the pattern. The pattern is "A Few of my Favourite Things Sewing Roll" by Leanne Beasley. 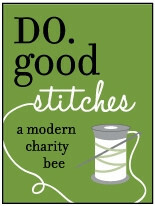 It is also my turn again next month to be leader for the "Cherish Circle" of Do Good Stitches. I have selected my Block for the ladies to make. 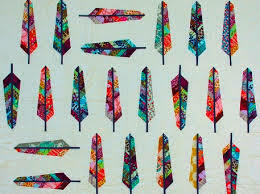 It's "Feather Bed Quilt" by Anna Maria Horner. to them next week and leave the colour of the feathers up to the individuals. I cant wait to see what they come up with. The free Pattern is HERE if your interested in taking a look. So that pretty much explains me at the moment .... all over the place! ohh keep exploring and auditioning lol, finishes happen in their own good time! Love Leanne sewing roll, cant wait to see that one finished thou! You have been really busy! 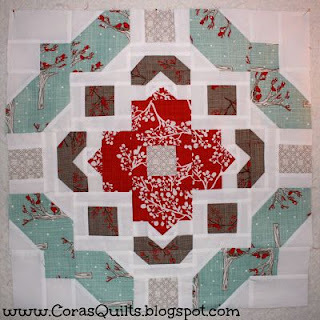 Love that block and your new fabric..
Sharon, what fun projects on this post. :D That block sure is fantastic. I'll be hopping over to check out the link you shared. I really love those feathers - good choice! oh I love this Winters Lane Fabric. A couple of weeks ago I ordered some charm packs to make some Xmas gifts. Its so pretty but this quilt is just beautiful. Did you choose the same fabric? Or will you use High Street? Well done on your beautiful and amazingly quick stitching of your sewing roll. Great finish of christmas decorations. Lovely block roll. Can't wait to see it finished. The Aspen Frost block is fabulous.... and I love the embroidery too - you always have such fantastic projects on the go! Love the Christmas ornies and that new fabric is lovely. 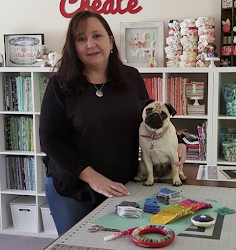 I am probably up to the same stage as yourself with Leanne's sewing roll. Must get it out and finish it!